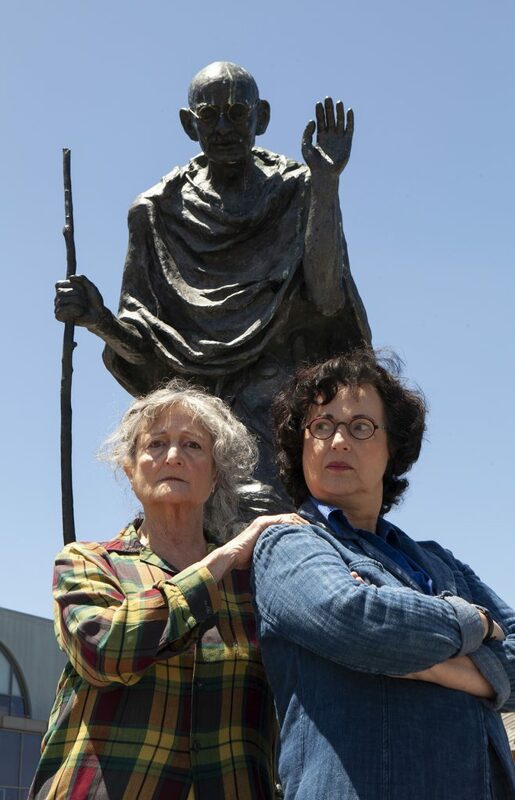 Anne Galjour does not shy away from revealing the dark secrets of Mahatma Gandhi in her new, intense comedy “#GetGandhi, A Seriously Radical Feminist Comedy.” Gandhi, who has inspired generations with his principle of non-violent civil disobedience, committed some shady acts against women. Though Gandhi practiced celibacy, he actively persuaded young women to lie naked next to him, to test his piety. 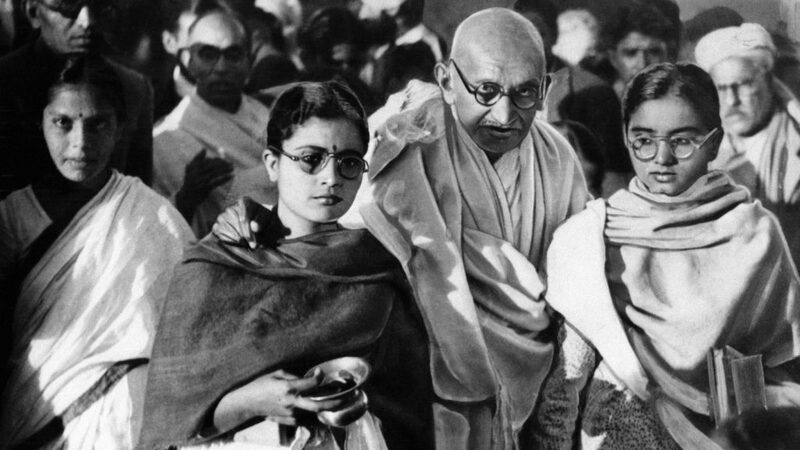 Although Gandhi’s misogyny and racism seem factual, Galjour creates a questionable trio to give a voice to Gandhi’s victims. Enter our three faithful feminist musketeers who plot to take down Gandhi’s heroic bronze statue in San Francisco. “#Get Gandhi” is timely in its execution because we have usually chosen male “heroes” who reflect what we have been taught. However, it’s time to question how even our feminist movements still omit the voices of poor and minority women! Between vigorous stretches, yoga/dance teacher Helen (versatile Jeri Lynn Cohen) and her young companion Maya (exceptional Miranda Swain) complain about the men who “just don’t get it.” Sporting a tight, pigtail bun, Maya–and her mentor Helen–deliver their hilarious opinions. Aging academic Miram (spot-on Patricia Silver) orchestrates the extravagant plan. Miriam is determined to smash the patriarchy, starting with Gandhi’s scrawny bronze statue. As the voice of reason, Helen’s husband Bob (hilarious Howard Swain) just wants to chill. But these privileged white women dominate the feminist field of action. “#GetGhandi” claims to be “A Seriously Radical Feminist Comedy.” But the play’s perspective remains homogeneous and elite, lacking representatives of color, trans, disabled, or queer women. Their goal is righteous but their actions are full of contradictions. Helen constantly brings up the fact that women and children in developing countries are starving, living on less than two dollars a day. Her Gandhi quest does not touch on that problem. They also disregard the thousands of Americans who live in extreme poverty. No mention of the huge wage gap for women, or the fact that in the U.S., older women are falling fast into poverty. Although Helen and Bob are about to be kicked out of their apartment, Miriam is more interested in going to jail and making history. Galjour leaves us questioning: At what point does feminism become ridiculous? Removing a statue of Gandhi brings neither transcendence nor equality. It’s time to hold our feminist leaders up to inspection. “#GetGandhi, A Seriously Radical Feminist Comedy” by Anne Galjour, directed by Nancy Carlin, by The Sisterhood of the Traveling Pantsuits Theatre Collective, at Z Below, San Francisco, through Sunday, August 26, 2018. 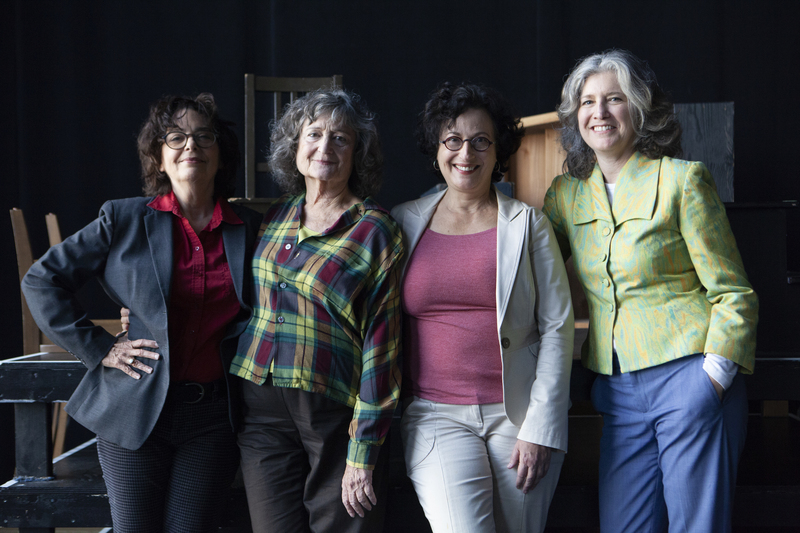 Cast: Jeri Lynn Cohen, Miranda Swain, Patricia Silver, Howard Swain, and Lyndsy Kail.